If you’re considering cremation for yourself or a loved one, you most likely have some specific questions about the process. Based on our experience dealing with people, we’ve compiled and answered the most frequently asked questions about cremation. These questions cover a wide range of topics relating to the benefits of cremation, the process, and what to do with the ashes after. We’ve also provided links throughout the guide which will point you to more detailed articles, should you wish to find out more on a particular topic. 1. Why do people want to be cremated? With cremation, you are able to avoid many of the expenses that are necessary with burial. It’s unnecessary to purchase an expensive casket. Embalming or cosmetic procedures are unnecessary if there will be no viewing. Unless you are going to bury the cremains in a cemetery, you also will not have to purchase a plot and grave marker. If you’re wanting to see a price comparison, have a look at out Cremation Costs Guide, which goes into detail of what you’re likely to pay. Some religious denominations favor cremation as a practice. For example, Hindu funerals tend to go with cremation while Buddhists also favor the practice. Cremation for Catholics is allowed, but the Church has strict rules that need to be followed. While not specifically stated, Jehovah’s Witness funeral usually involves cremation. Many people feel like they have more freedom with cremation. You can have a service before the cremation, but you also have the freedom to have a ceremony well after the cremation, with the ashes present. Some people like this idea, as they are not rushed into organising an expensive service with a funeral director. Alternatively, you could decide to have no memorial service, which is called direct cremation. You also have more flexibility with what can be done with the ashes. They can be scattered, buried, placed in an urn, and these are just a few ideas. This topic will be discussed further in another question in the article. For those who are concerned with our earth, cremation has a nomimal negative effect on the environment. For example, the emmisions released with a cremation are a fraction of those released when burning your fireplace. Cremation also helps with the problem of overcrowded cemeteries. For instance, cremation plots are much smaller than typical ones. Also, if you scatter or store the ashes, a plot is not necessary at all. If you’re undecided about which end of life option to choose, have a look at the Cremation or Burial article, which talks in detail about the pro’s and con’s of each option. 2. 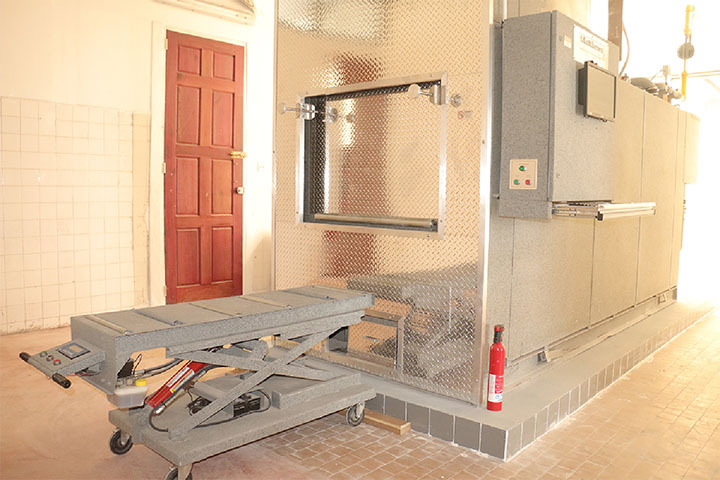 How does a crematorium work? After someone dies, their body is picked up from the place of death. It is then transported to the location where the cremation will be performed. Initially, the necessary paperwork is completed. Then, after some preliminary preparation, the body is placed inside a cremation chamber and exposed to intense temperatures. The heat reduces the body down to bone fragments. After a cooling period, the fragments are further ground into a coarse sand-like substance using a cremulator. 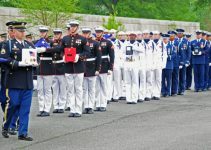 The cremated remains are then placed into a container and presented to the immediate family. Crematoriums vary, but inside one you may find a business office where you’ll take care of the paperwork and the process will be explained. 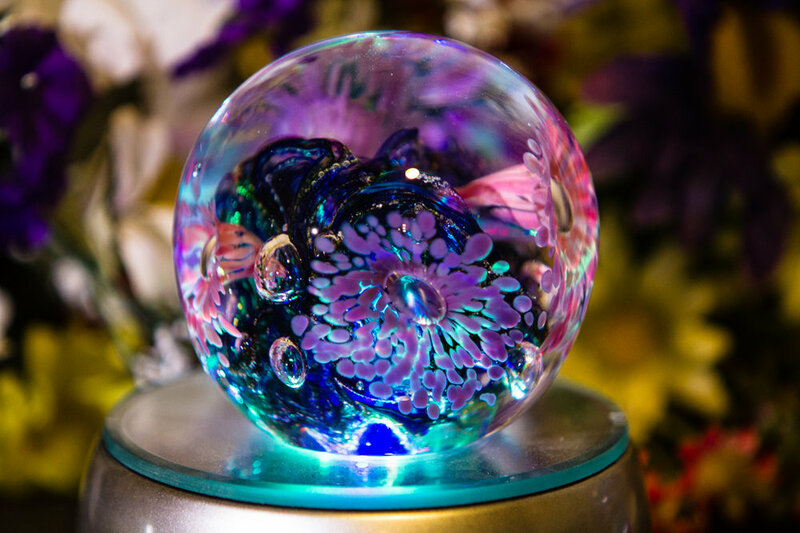 Additionally, they frequently have a retail area where items such as urns, caskets, mementos, and other cremation related items are sold. Most crematoriums have a room, which has a window for family and friends to watch the cremation process. For those interested, our Cremation Process Guide goes into a lot more detail about the workings of a crematorium. 3. How long does it take to cremate a body? It can take anywhere from one hour up to four hours, but the answer is dependent on several factors. 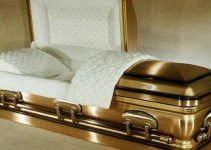 For a body of average height and weight, contained in a cardboard casket, the cremation process typically takes about two hours. From there, you can estimate about how long it will take depending on whether the person is larger or more petite than average. Other factors would include the type of equipment at the crematorium. Also a factor is whether it’s the first cremation of the day or if several have already been completed when the chamber is hotter. 4. What’s the temperature during cremation? Very hot. It is so hot, that the organic matter is basically vaporized. The temperature in a typical cremation chamber is generally from 1400 to 2000 degrees Fahrenheit. There is commonly someone that monitors the procedure constantly to ensure the heat is maintained. 5. How is a body prepared for cremation? Before the cremation occurs, objects that do not burn are removed. This can include jewelry, internal plates, nails, and screws. Pacemakers, which can possibly explode must also be removed. In addition, radioactive implants containing mercury which can be harmful to the environment, are also removed. The body may then be placed into a casket or sometimes wrapped in a shroud. 6. 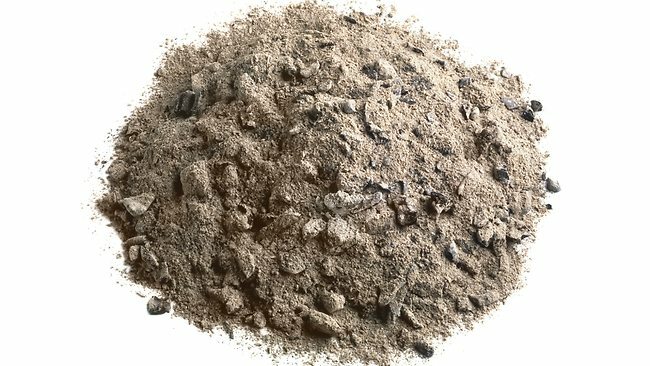 How much ash does a cremated body make? Many people are surprised at the amount and weight of the ashes. The average weight for a woman is five pounds and seven pounds for a man. Since most of the organic matter vaporizes, the amount of ash is mainly determined by the bone structure of the person. A tall, large boned person’s remains will weigh more than a person of small stature. Whether or not the body was contained in a casket and the type of casket is another determining factor. 7. What happens to bones during cremation? As mentioned, most of the body’s organic matter is vaporized fairly quickly by the high heat. However, the bones, which are made of carbonates and calcium phosphates, do not burn as easily. After the cremation is completed, much of the bone and fragments remain. These are normally placed into a cremulator, which is a machine that grinds it down into a coarse sand-like substance. 8. How long after cremation are the ashes ready? 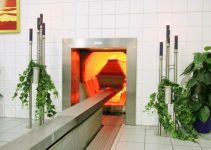 That can depend on the facility that performs the cremation, but you will normally receive them from two days to a week. Cooling and grounding the cremains is normally completed the day of the cremation. Then of course, it can depend on whether they will be hand delivered or the ashes mailed to you. If a more specific answer is needed, ask the funeral home or crematorium that you will be using. 9. What happens to the coffin during cremation? The casket incinerates along with the body. This can cause the cremation to take longer and produce more ashes. The coffin you choose should be made from flammable material. If there are any metal pieces such as handles, the crematorium staff will remove them before the cremation. A traditional casket (mainly used for burial) is normally the biggest expense. For most people, it doesn’t make sense to spend thousands on a casket and then burn it up. Therefore most people opt for an alternative casket instead. An alternative casket is constructed with highly flammable materials, usually a sturdy cardboard or wood. The cost is a fraction of the price for a traditional casket. Another, choice would be to rent a casket. A rental casket has an opening, usually on the side or at the end. The body is contained in an alternative casket, which is then slid into the rental casket. After the viewing, the alternative casket is then removed and cremated. The body never touches the rental casket, which can then be used again. 10. Are people cremated individually? Yes, cremation chambers are only large enough for one person. This is necessary for various reasons, but mainly because cremation takes longer with some bodies than with others. Furthermore, receiving their loved one’s individual ashes is extremely important to family members, in most cases. Crematoriums take great care to keep them separate. In addition, most crematoriums allow the family to view the cremation, which further ensures that their loved one is cremated alone. 11. What can you put in a coffin for cremation? It’s typical for people to wish to place something in the casket before the cremation, such as a memento or keepsake. In most cases, this is not allowed. Crematoriums are only allowed to cremate human bodies. However, procedures can vary in different areas. The best way to be sure is to ask the crematorium staff beforehand. 12. Do you have to embalm a body before cremation? Many times, the family desires to have a funeral service before the cremation. In this case, embalming the body as well as cosmetic preparations are necessary. Otherwise, there is no reason for embalming. 13. Do funeral homes cremate bodies? Occasionally, but in most cases they do not. They normally have a third-party arrangement with a crematory to perform the service. If desired, you can usually bypass the funeral home. The crematorium staff are normally able to help you with all the arrangements. By making the preparations directly with the crematorium you can save on funeral home fees, which are normally quite expensive. 14. How long after a funeral is the body cremated? The cremation is typically carried out on the same day as the funeral. If for some reason it can’t be that day, it is usually performed within 72 hours. Naturally, there may be some circumstances where the cremation is delayed. For instance, the body may have to be transported to another town, state, or country. In addition, if a crime was involved, there may be an autopsy before the funeral and cremation. In any of these cases, the body is kept in a climate controlled location. 15. What can you do with cremated ashes? This is one of the most frequently asked questions and there are a multitude of answers. Below are just a few examples, but if you’re looking more inspiration, have a look at our Ideas for Cremated Remains Guide. Interment – A popular choice is to bury the ashes. Most cemeteries have a specific area for the burial of cremains. Storage – Many people prefer to keep the ashes, by putting them in an urn or other container. You may see an urn sitting on someone’s fireplace mantel. Scattering – Scattering ashes is another popular method for saying goodbye. It can be done on private land, national parks, or scattered at sea. To see more ideas and also information about laws, permits and additional advice, go to our Scattering Ashes Guide. 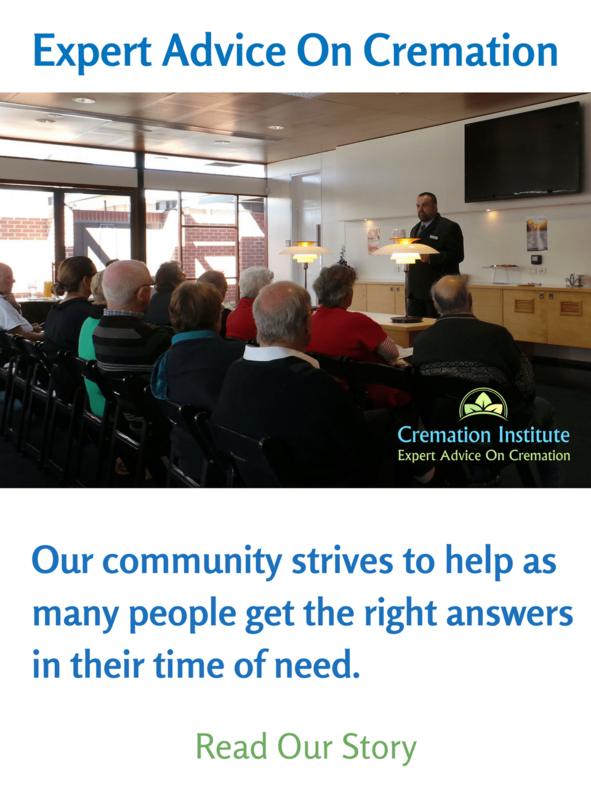 We have touched on many of the most asked questions pertaining to cremation. If you have others, following the links throughout the article should guide you to the answers. We know that making these arrangements are difficult while grieving a lost loved one. It is our goal to take some of the pressure off your shoulders by making that task a bit easier.